Monday is a good day to play with post-processing. This is a photo from Christmas. I like my photos to be slightly darker, so I polarised the entire image. I applied a cayenne tint (helps with the polarisation) and pushed the definition slider (to improve sharpness, the 55-250 is really soft) all the way up. There’s also a little chromatic aberration, but it appears to have been modified by the definition and tint, so I couldn’t get rid of it easily. GIMP is horrible. I had a slightly older version, but I have just downloaded the latest native (woohoo) version. Hopefully that will improve things. Note: I only used GIMP to create the before/after thing above, the real editing was done in Aperture, which is a nice app. Tomorrow, I gauge the reaction to a battery pack. Posted by Michael Welsh at 07:56. 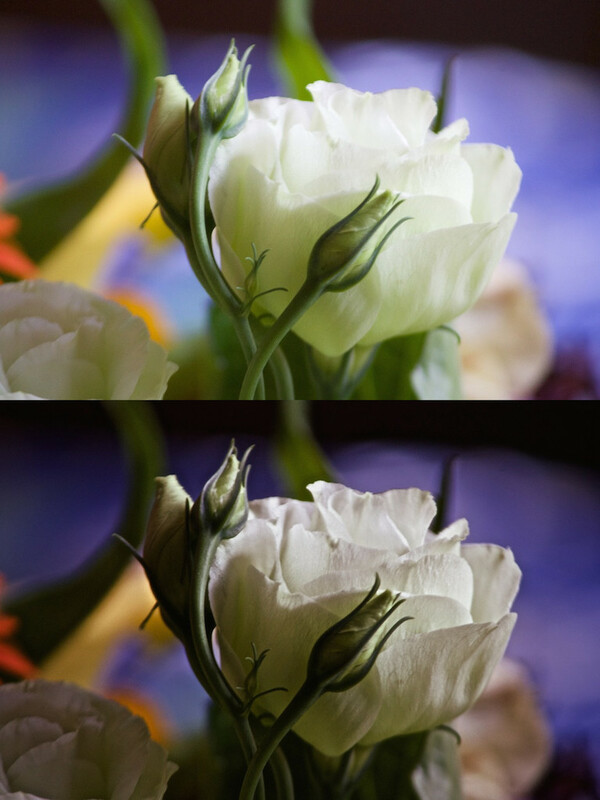 I had hoped the flower would be processed before being photographed.